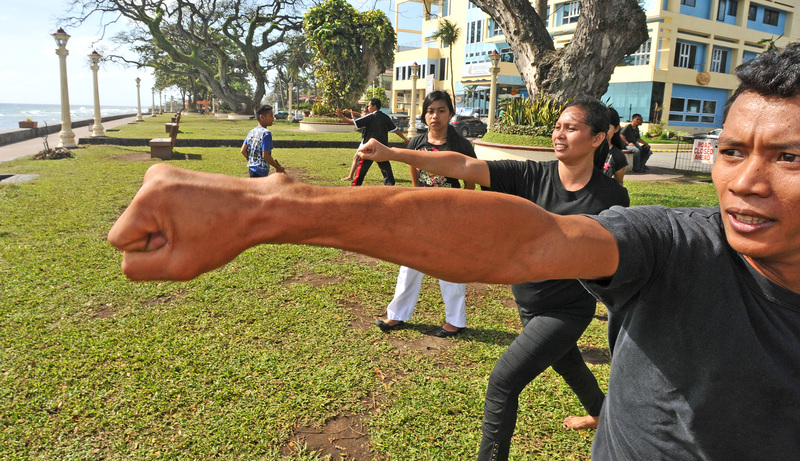 Every Sunday morning under majestic acacia trees on the grassy parks of the boulevard you will find a group of 20-30 men and women practicing various martial art forms including arnis or stick fighting, a style that originated in the islands. Leonardo De La Luna paces along two rows of students and barks instructions as they go into simulated combat. Sweating in the tropical heat, the students listen and intensely watch as their 69-year-old teacher shows them moves. This was how De La Luna learned his martial arts from his father who taught him. Since he was given his first pair of rattan sticks at the age of six, he has practiced and learned several martial art forms. 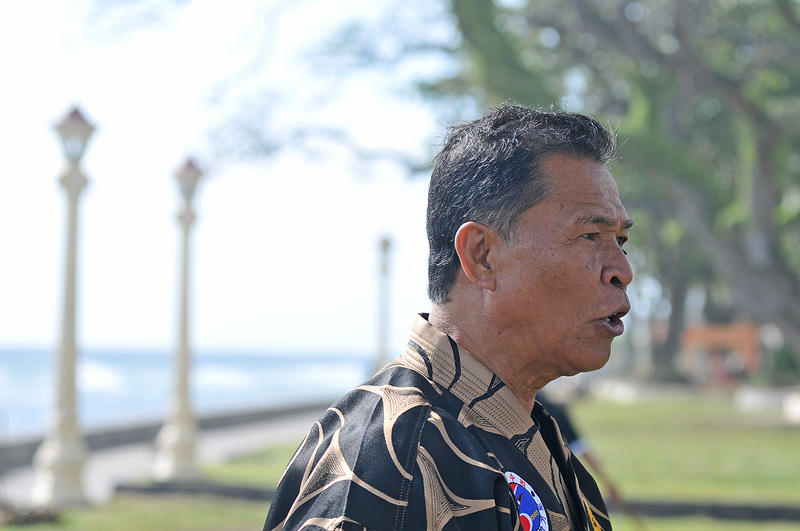 He is somewhat of a local legend and locals would come to the boulevard watch the old man teach youngsters how to protect themselves. The club is called Philippine Tiger Martial Arts and a lifetime membership can be bought for 150 pesos, about $4. A donation of at least 20 pesos (about 50 cents) is collected at every practice by De La Luna’s assistant Michael Empic. Empic, 22, became interested in martial arts to prepare for his studies in criminology and get some exercise. De La Luna’s tall, wiry and well-spoken assistant conducts all the business-related chores for the club, including speaking to a foreign visitor. 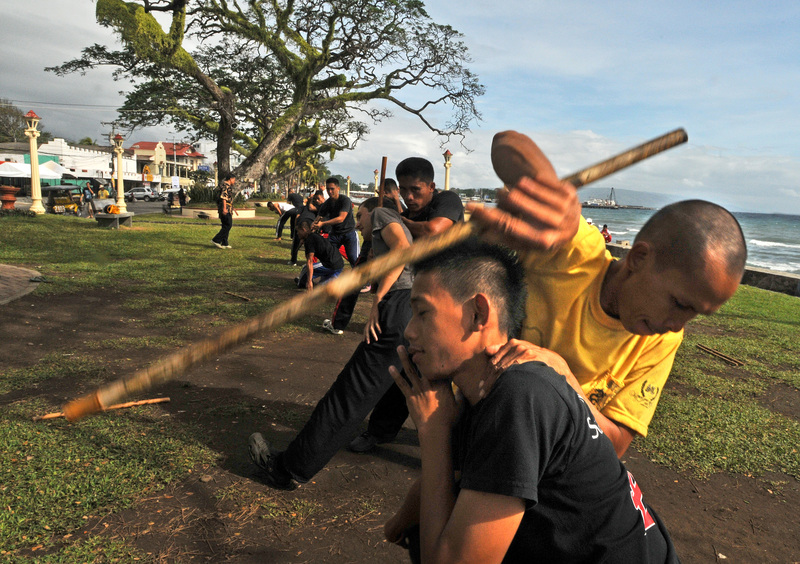 He proudly produces mementos from the distant past of his master’s exploits and accomplishments: a number of Asian martial arts title, arnis exhibitions and even a demonstration of skills at the local mall. He apologizes for having to speak for the master. “His English is not so good,” he said. He said he started in martial arts six years ago and explained that the club brings in new students and start them with basic karate skills. As they develop they are taught kung fu and eventually get to the fighting sticks. A few feet from us Jovelyn Jainjja was practicing her sticks. 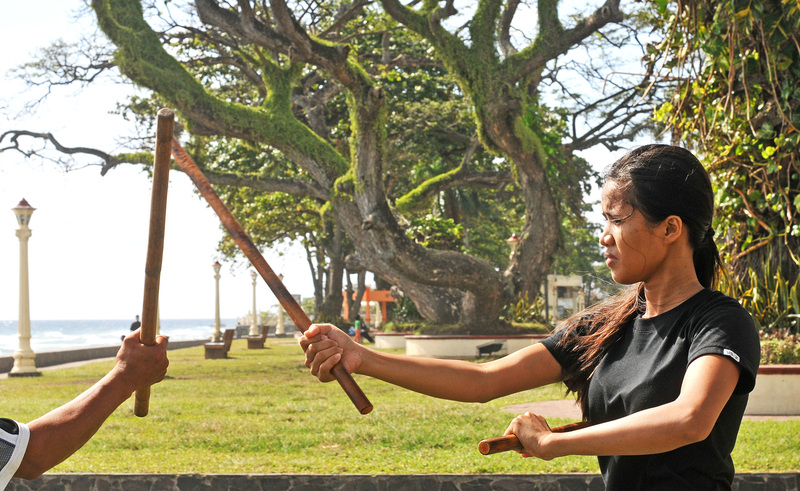 Like Empic, she joined the club to get better at her martial arts before studying criminology at Foundation University, the second largest university in Dumaguete. The pretty nineteen-year-old is from the island of Mindanao from a town just south of Davao province. She practices choreographed moves with another instructor as sweat ran down her face. Her focus, she explains, is to help prepare her for real-life goal of fighting crime.